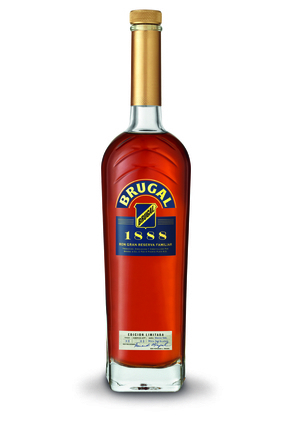 The fourth and fifth generations of the Brugal family make rum using only from molasses from the Dominican Republic at the country’s only operating distillery. Having succeeded in dominating its domestic market, Brugal has broken out of the Caribbean to become one of the leading rums sold in Spain and Italy. 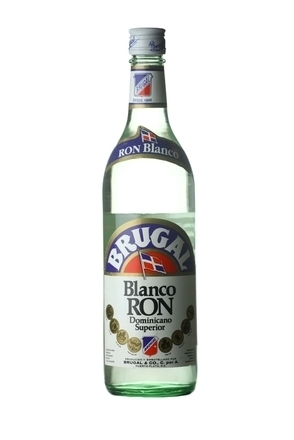 Initially producing a white rum, Brugal’s first ageing warehouses were built in the 1920s, and the brand’s reputation for full-bodied aged rums was established. Brugal only uses molasses from the Dominican Republic itself, and its distillery is situated in the south-eastern part of the island, close to three sugar refineries. Known locally as ‘melaza’, the molasses arrive by tanker from the Barahaia, La Ronana and San Pedro de Macons sugar refineries. Each tanker is weighed and its contents tested to ensure it meets Brugal’s minimum quality standards – particularly important as modern sugar refining has become so efficient that molasses may potentially contain less than 50 per cent sugar. 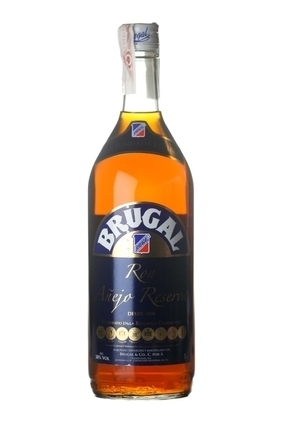 Brugal stipulate a minimum of 85 per cent brix (60-65 per cent sugar) and also test for all-important pH and ash levels. If the molasses meet Brugal’s approval, the tankers pump unload their contents into an underground well system. From here it is pumped into one of eight stainless steel storage tanks, six capable of holding 1.4m gallons and two of 750,000 gallons. This huge capacity allows the distillery to operate all year round, even though the sugar refineries go months without production. The next stage is to dilute the molasses with demineralised, purified water ready for the fermentation process. 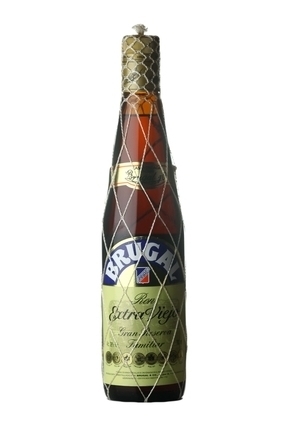 A proprietary yeast strain is cultivated and maintained in Brugal’s laboratory. A sample of this is used to start fermentation in a propagator with a small amount of diluted molasses. Oxygen is pumped in to ensure aerobic fermentation, and the yeast multiplies as it feeds on the glucose in the molasses. As the yeast cell count increases, more molasses are introduced and this starter fermentation is moved to progressively larger vessels until the yeast count is sufficiently high to be introduced to the undiluted molasses in one of Brugal’s six 250,000 litre fermentation tanks. Again, oxygen is initially introduced to encourage aerobic fermentation but once the yeast cell count has grown to a sufficient size, the oxygen supply is cut to start anaerobic fermentation – the yeast cells stop reproducing and start producing alcohol and carbon dioxide (the CO2 is sold to carbonated drinks manufacturers). As the yeast multiplies and ferments, it produces heat. Many of the yeast strains used in rum production cannot survive temperatures of more than 30-33°C, but the specific strain used by Brugal continues to work at temperatures more than 35°C. To guarantee efficient alcohol production the fermenting liquid is passed through a heat exchanger to regulate the temperature. The whole fermentation lasts between 40 and 48 hours, after which a dark beer-like liquid known as ‘vino’ is produced, with an alcohol level of 7.5-8.5% alc./vol., a perfect level for distillation, though it is pumped to a resting tank and held for eight hours first. Three pairs of two column stills are operated independently at Brugal’s San Pedro de Macaris Distillery. The largest has a capacity of 40,000 litres per day, another 20,000 litres per day and the third 15,000 per day. Each distillery operates 24 hours a day, for seven days a week, with breaks only for maintenance and to allow staff to attend special national festivities. The first column in each set operates at a low pressure generated by a vacuum pump. The raw alcohol produced by this first column is 90% alc./vol.. and known locally as ‘flema’. A waste product from the spent molasses, called ‘vinaza’, is also produced, high in organic matter and with an alcoholic content of around 7% alc./vol.. This waste goes through a two-stage treatment, first through two anaerobic digesters, then physical chemical processes and filtration, resulting in clear, environmentally safe water and solids which are sold as fertiliser. Bio gas produced during the first stage also provides up to 50% of the energy needed to power the plant’s boilers. The 90% alc./vol. flema produced by the first distillation is diluted back to 25% alc./vol. before being sent to the second rectifying column, where the final distillation produces a spirit at 95% alc./vol.. This has a very low congener content and when sampled already has Brugal’s characteristic mocha coffee flavour. The distillery produces around 75,000 litres of alcohol at 95% alc./vol. every 24 hours. Every day, two or three stainless steel tankers can be seen transporting it by road some to Brugal’s ageing, blending and bottling facility, 325 kilometres (202 miles) away back at Puerto Plata. At Puerto Plata the first process is to dilute the 95% spirit back to 65% alc./vol.. The quality of water is crucial and this is drawn from mountain rivers high above the Puerto Plata plant. The water is filtered and processed to remove salts and minerals to produce a slightly acidic purified water with a pH level around 4.5 – crucially equal to the pH of the alcohol it will hydrate. Once diluted, the 65% alc./vol. spirit is pumped into casks for ageing. Brugal ages its rums one, two, three, five or eight years. Dominican law stipulates that that all rums must be aged for at least one year in an oak cask, and that once placed in the ageing warehouse those casks may not be moved or topped up during the ageing period. Brugal mainly uses 190 litre (50 gallon) American ‘standard’ barrels previously used by the whiskey industry, although in recent years Brugal has started to experiment with 500 litre (132 gallon) ex-sherry butts. The casks are matured in 14 warehouses, each holding approximately 18,000 barrels. Some 8-12% of the rum in each barrel is lost to evaporation each year, meaning that the rums aged for the longest period typically only have around 30% left in each barrel at the end of their eight-year ageing period. Due to the hot tropical climate, water and alcohol are lost from the casks at similar rates, meaning that although barrels lose volume, the alcohol level of what is left after the aging period is very similar to that at the start. Typically, young casks loose only a percentage or two; five year old casks tend to drop to 64-63.5% and eight-year-old casks to 63% alc./vol..
Brugal stacks the barrels in their warehouses in two different ways according to the length of time the rum is to be aged. Younger rum barrels stand vertically, nine barrels to a palate, and these are stacked one on top of each other in the warehouse. Barrels containing rum destined for a long period of maturation lie horizontally in steel racks, not dissimilar to that typical of the bourbon rick houses where most of the barrels originated. The main reason for this second horizontal aging method for older rums is to keep the spirit in contact with both the bottom and top of each cask. If these barrels were left standing for more than a few years there is a danger that the top of the barrels would dry out, crack and no longer be watertight. Barrels holding young rums may be refilled between five or six times, while those holding older rums may only be refilled 2-3 times. In order to keep track of the number of time each barrel has been used, Brugal colour codes them by painting the barrel’s top band: first –use is red, the second refill is blue and the third or more denoted in yellow. When the casks of aged rum are emptied their contents are lightly filtered to remove charcoal partials from the inside of the casks. Its rums are a blend of different aged rums with the selection of casks for each blend decided by Master Roneros, who are all members of the Brugal family. Currently there are four: three from the fourth generation and one, Gustavo Ortega Zeller, from the fifth generation. At this stage the rum is also further diluted with purified mountain water from cask strength to be nearer final bottling strength. After blending, the rum is rested in large stainless steel vats for between six and 30 days depending on the age of the rum. Brugal has 84 such tanks, with a total capacity of three million litres. This resting period homogenises the blend while evaporation through vents on top of the tank has a smoothing effect. Only after this period will the Master Roneros approve the blend for bottling. The rum’s alcohol level is finally corrected to bottling strength and then given a final filtration through cellulose paper pads to remove any remaining small partials. Brugal do not chill-filter their rums for fear of removing fatty acids which could have a negative effect on the mouth feel of the final product. A small amount of caramel is added for colour correction before the rum is sent to the newly installed high-speed bottling line. Filling and labelling is fully automated but the Añejo and Extra Añejo bottles are hand-finished, with that distinctive netting applied at the rate of one bottle every four seconds. First blended in 1976, Extra Viejo (extra old) is a blend of Dominican rums aged in ex-American standard whiskey barrels for three to eight years. A blend of Dominican rums aged in ex-American whisky barrels for between three and eight years with a higher proportion of older rums. Launched in 1952, this is a blend of Dominican rums aged in ex-American standard whiskey barrels for two to five years. A blend of rum aged in ex-American whisky barrels for at least one year and charcoal filtered prior to bottling, hence its clear colour despite ageing. A blend of double-distilled Dominican rum aged in ex-American whiskey barrels for 1-2 years and charcoal filtered prior to bottling, hence its clear colour despite ageing.